“Game of Thrones” staged several reunions on this week’s episode. 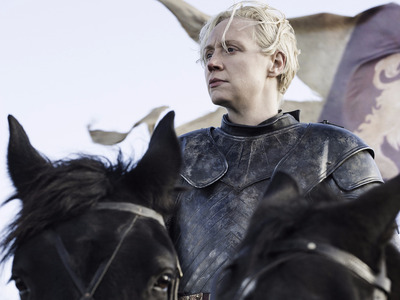 Brienne (Gwendoline Christie) arrived at Riverrun and met up with Jaime Lannister (Nikolaj Coster-Waldau), revealing some interesting layers to their relationship. Meanwhile, Mereen was under siege by the returning slave masters, but Daenerys Targaryen (Emilia Clarke) arrived in the nick of time. Sandor Clegane (Rory McCann) caught up with the men who savaged the sept that took him in and settled the score. He also ran into an old nemesis. 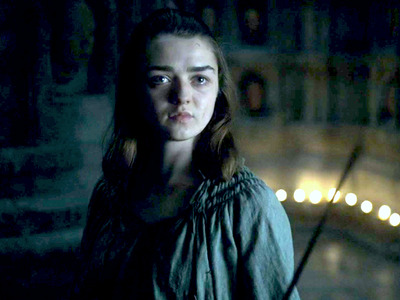 And Arya (Maisie Williams) came face-to-face once again with The Waif (Faye Marsaye), who returned to finish the young Stark off. With all that to pay attention to, there may have been some details that viewers didn’t catch. Cleganebowl probably won't go down. Hafþór Júlíus Björnsson as Gregor Clegane aka The Mountain, left, and Rory McCane as Sandor Clegane aka The Hound. The show may have dashed fans' hopes of a popular theory happening. 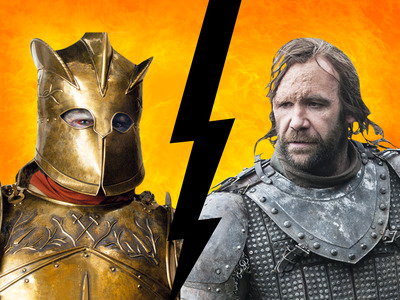 Referred to as Cleganebowl, the theory basically says that the Hound will lock swords with his brother, Gregor Glegane aka The Mountain (Hafþór Júlíus Björnsson), in a trial by combat revolving around Cersei Lannister (Lena Headey). But on this week's episode, Tommen (Dean-Charles Chapman) decreed that trials would no longer be settled by combat. And with that, the chances of Cleganebowl happening are a lot slimmer. Here again, another popular theory looked like it wouldn't happen. In this one, Catelyn Stark is brought back to life (sort of, she is more like a zombie) and commands a rebel army called the Brotherhood Without Banners in avenging the Stark murders. The theory looked doomed for a while when they destroyed the nonviolent group that took in Sandor Clegane. But on this episode, we learn that those men weren't acting under the orders of the Brotherhood. That means that the group still has some honour, and could very well still be part of Lady Stoneheart's plan to avenge the Starks. The significance of Beric Donderrian. 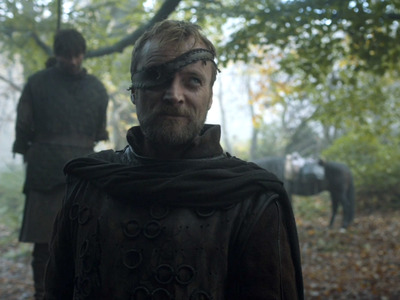 The last time viewers saw Beric Donderrian (Richard Dormer) was during season three. If you'll remember, he was sent to hunt down Sandor Clegane by order of Ned Stark for crimes committed against the people of the Riverlands on season one. 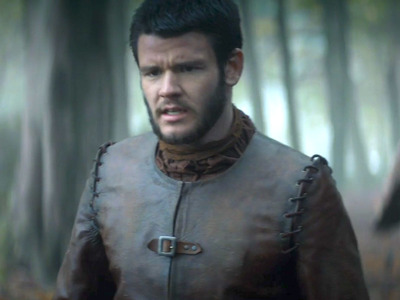 During season three, he had captured Arya and Gendry. Later, he sells Gendry to Melisandre (Carice van Houten), earning himself a place on Arya's kill list. 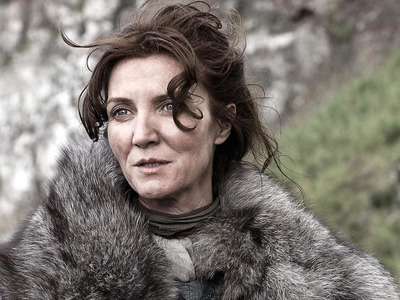 We now find he's part of the Brotherhood Without Banners, which may be pivotal in bringing back Lady Catelyn Stark. How is Arya able to walk away alive? In usual fashion, the Many-Faced God names a person it wants killed and brought into his collection of faces and inevitably gets that person. So it would seem that the future looked bleak for Arya. But apparently, her actions enabled her to change her fate. Could Tommen mean death for Cersei? 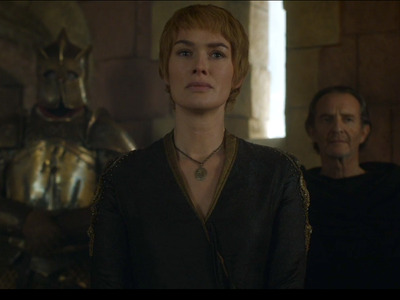 From left, Hafþór Júlíus Björnsson as Gregor Clegane aka The Mountain, Lena Headey as Cersei Lannister, and Anton Lesser as Qyburn. And as Tommen turns against her in his union with the Faith Militant and she defends herself, it's looking more likely that he could be the one who kills her in the end. Look who graduated from doing 'Thrones' impressions. Last year, a Canadian comedian and impressionist, Steve Love, made headlines when he appeared on ABC's 'Jimmy Kimmel Live!' to actually perform his impersonation of Jon Snow for the actor who portrays the character, Kit Harington. Well, he got a chance to actually be on the show on this week's episode as one of Sandor's victims.